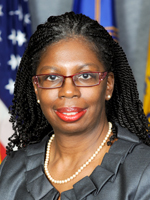 Dr. Michelle S. Davis currently holds the position of Regional Health Administrator (RHA) with the U.S. Department of Health and Human Services (HHS) New York Regional office. The RHA serves as the principal federal public health authority for the Secretary of HHS and the Assistant Secretary for Health. The RHA also assures collaborative promotion of the Surgeon General’s initiatives. Prior to her current position, she served as the Deputy RHA for the Mid-Atlantic region (DC, DE, MD, PA, VA, WVA) as the health liaison between DHHS and state/local agencies, coordinated regional/national programs, recommended policies and served on the federal emergency preparedness, response and recovery team. She has worked as a public health professional in a variety of positions at the federal, state and municipal levels. Michelle S. Davis matriculated at the University of Michigan majoring in biology and psychology at the undergraduate level. She continued her education at the University of South Carolina, Johns Hopkins and the University of North Carolina where she majored in epidemiology for her graduate degrees. Allan Geliebter,Ph.D. is a research psychologist with an MA in biology and a PhD in Psychology from Columbia University. Currently, he is a Senior Research Scientist in the Department of Psychiatry at Columbia University College of Physicians and Surgeons. He is also a Professor of Psychology at the Touro Graduate School of Education and Psychology. He is licensed by New York State to practice clinical psychology. 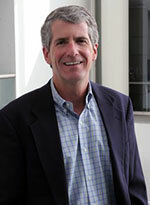 His research interests include: a) psychological and biological aspects of Binge Eating Disorder (BED) and the Night Eating Syndrome (NES) in overweight and obese individuals, b) brain imaging and binge eating, c) effects of exercise on body composition in the treatment of obesity, d) environmental approaches for obesity intervention, such as price discounts on healthy foods. He has several NIH grants to explore these topics. Richard O Straub received his Ph.D. in experimental psychology from Columbia University and after serving as a National Institute of Mental Health fellow at the University of California he joined the University of Michigan faculty in 1979. Currently Dr. Straub is a professor of psychology, chair of the Behavioral Sciences Department and founder of the graduate program in Health Psychology at the University of Michigan. Dearborn. He also serves on the board directors of the Southwest Michigan’s Consortium for Medical Education and regularly lectures in teaching hospitals. Professor Straub has created an online learning management system for medical residency programs and authored a series of web-based modules for teaching core competencies in behavioral medicine. Dr. Straub’s research in health psychology with focus on the mind-body connection has been published in journals such as Health Psychology, the Journal of Applied Social Psychology and the Journal of Experimental Analysis of Behavior. His textbook Health Psychology is part of the bibliography used to support the AABC fellows certification program. 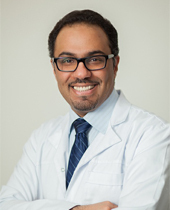 Dr. Naif Alenazi, a board-certified surgeon who practices in Saudi Arabia, is a Fellow of the European Board of Surgery, Fellow of the International College of Surgeons, Fellow of the American Society of Metabolic and Bariatric Surgery and a Board Certified Fellow of the American Association of Bariatric Counselors (AABC). He completed his residency training at King Khalid University Hospital, Riyadh, Saudi Arabia and did specialized fellowships at Mt. Sinai Medical Center in NYC and the University of Montreal in Montreal Canada. Dr. Alenazi’s commitment to global health, vast knowledge and scholarship will further the AABC goal of providing specialized bariatric science education and credentialing standards for health professionals around the world. Dr. Kathryn Suchercompleted an undergraduate at UC Berkeley, a master’s degree from UC Davis and her Sc.D. from Boston University Medical Center in Nutrition Science. Currently she is a professor at San Jose State University. She is a recognized authority on how diet, health, and disease are affected by culture/ethnicity and religion. Dr. Sucher has published newsletters, numerous articles, and textbooks on this subject. Her current textbooks include: Food and Culture, 6th edition (2011) and Nutrition Therapy and Pathophysiology, 2nd edition (2011) both published by Wadsworth/Cencage. Olajide Williams, MD,Â is a distinguished neurologist and educator with research interest in community-based educational interventions to reduce the disproportionate burden of stroke among minority populations. He is a member of the National Institute of Neurological Disorders and Stroke External Review Group for the Clinical Research Collaboration, charged with connecting American communities to National Institute of Health research, and is the recipient of numerous awards for outstanding teaching, humanism, and community service. These awards include; Columbia University Distinguished Teacher Award, National Humanism in Medicine Award recognition from the Association of American Medical Colleges and a Columbia University Gold Foundation Award for Humanism in Medicine and Excellence in Teaching. Dr Williams has also been honored by the New York City Council, the Congressional Black Caucus Foundation, and the NAACP. He is an Associate Director of Columbia Universityâ€™s department of neurology, and currently practices neurology at Harlem Hospital Center and New York Presbyterian Hospital where he teaches and trains medical students and resident physicians every day. 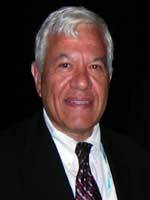 Dr. Joseph Indelicatois Director of Research for the American Association of Bariatric Counselors. 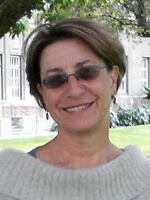 In addition to being an assistant professor at Touro College School of Health Science in New York City, Dr. Indelicato holds a variety of administrative positions at the college such as chair of undergraduate psychology, chairperson of the Health Sciences Institutional Review Board, and chairperson of the Building Education Bridges Committee. For Project Aspire, a public health initiative of the Childrenâ€™s Health Education Foundation. Dr. Indelicato has taught undergraduate courses in psychology, and graduate courses in statistics, research methodology, and social work policy. He also has provided thesis advisement on dissertations including statistical analysis and research design. He is a published author of numerous research articles and presentations. who exhibit a wide range of psychiatric diagnoses and with parents in family consultation, parenting skills and the development of individualized behavioral programs. Dr.Kasson also works with schools and parents in obtaining appropriate school placements and services for the children. She has offices for private practice in Manhattan where she sees children and families for individual therapy, family therapy, psychological/psychoeducational assessment, remediation and advocacy. She is a board member of the Walter Kaner Children’s Foundation, a charitable organization serving the special needs of children New York City. Dr. Marlene Merritt, LAc, DOM(NM), CAN, C.B.C.received her Masterâ€™s degree in Oriental Medicine in 2000 and is a Doctor of Oriental Medicine. She is licensed both by the Texas State Board of Medical Examiners and by the New Mexico Board of Acupuncture and Oriental Medicine and is board certified by the NCCAOM. A respected educator, Dr. Merritt served on the faculty of Academy of Oriental Medicine in Austin from 1998 to 2004 and has taught Anatomy and Physiology for 13 years . She is an Applied Clinical Nutritionist and a Board Certified Bariatric Counselor and a regular columnist forÂ Acupuncture Today. In addition to a full clinical practice, she lectures nationally with her husband, Dr. Will Mitchell, to healthcare practitioners throughout the U.S. and Canada on issues ranging from diabetes, endocrine disorders, blood chemistry, nutrition and Celiac disease/gluten intolerance. Providing Education, Certification and Credentialing for Licensed/Registered/Certified Health & Education Professionals Specializing in Obesities Worldwide.